Beautifully updated family home! You will fall in love with the recently renovated kitchen, quartz counter-tops, farmhouse apron sink, stainless steel appliances and open concept living/dining area. Freshly painted and updated lighting throughout. Tastefully decorated with new blinds and window coverings. Beautiful cherry hardwood floors in living room, dining, kitchen and hallway. gas fireplace updated. All bathrooms updated. Back deck replaced 6 years ago. The home's plumbing has been completely upgraded. 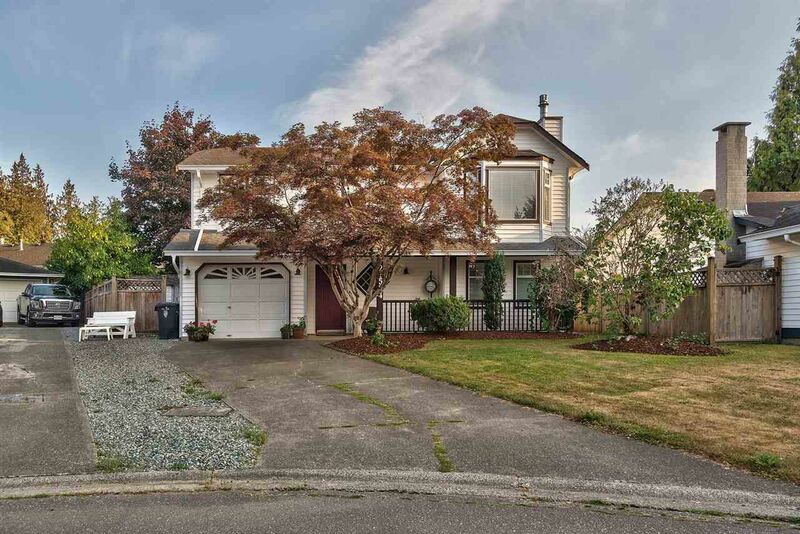 All this on a fantastic private south facing cul-de-sac lot in an excellent neighbourhood. This home is a must see!